So I started from home at a little past 6 am. 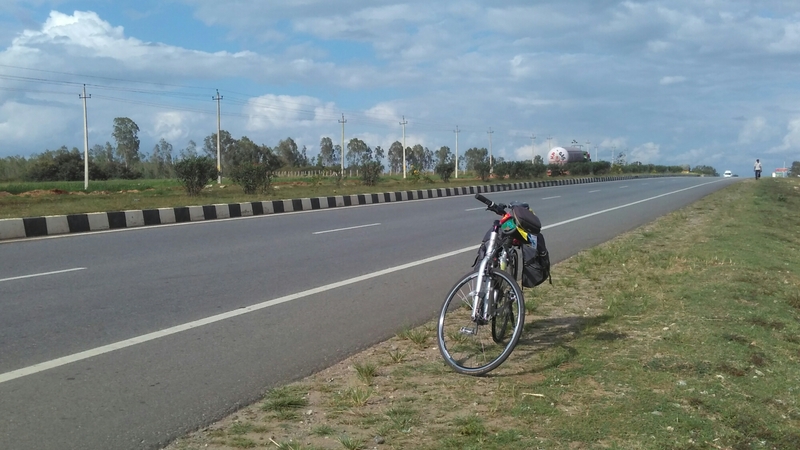 The day’s destination was Channarayapattana, 152 km away from Bangalore. There is rarely a day in recent history when Bangalore’s legendary traffic has not hogged the limelight. This day wasn’t any different, yes even at 6.30 am. Got stuck between seemingly endless lines of trucks just after I had crossed Yeshwantpur. Oh, and this was before I managed to miss the road towards Nelamangala, and somehow ended up outside Yeshwantpur station. Which again is not to surprising given my propensity to go off track. Long story short, I spent a good part of the early hours getting out of the city. Didn’t stop for long breaks to make up for it, except for breakfast and lunch and the occasional stop to stretch a little. 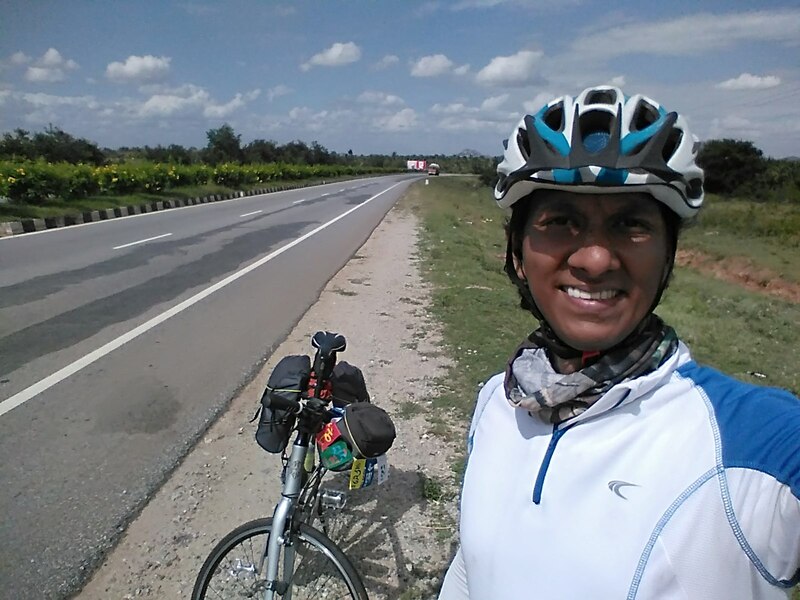 Rode through Solur, Yadiyur, Hirisave without any distinct change in scenery either, so pedaling on seemed a better prospect. Maybe the mileage will be rewarded with a leisurely ride in the days to come. Oh and yes, also felt like I could have gone even lighter with my baggage. Quite sure it weighs less than 10 kg, but after 100 km, every gram of weight made me pay the price. Something to think about in the next tour. On account of the statewide strike in Karnataka today, I have stocked up on water and bananas. That’s going to be my superfood, let’s see how it goes. Might have to do a curtailed ride – droopy eyes and sore legs aren’t complaining. Signing off with a few pics. Adios. Happy tripping to the land of feni , cherish and susegado ! Cheers ! You meant chorizo, didn’t you? Thanks Lalit. Just wondering, are you my classmate from Vidyalankar?